I have always been curious about why people do what they do. Research and writing allow me to explore questions and answers about people’s lives. Being a writer is great for exploring things that really interest me—and sharing them with others. 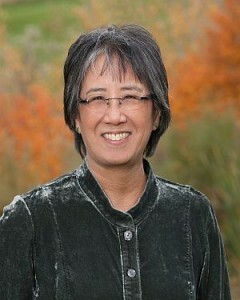 Most of what I currently write is nonfiction for young readers (and older readers, too). I do a lot of research for whatever I write. Something will catch my attention: an intriguing experience, person, idea, impression, or explanation. If that sticks in my mind, makes me ask questions, and pushes me to find out more, then I will dig deep into research. I love when facts and ideas from various sources start connecting together like a puzzle, linking pieces that didn’t make sense or seemed unrelated before. 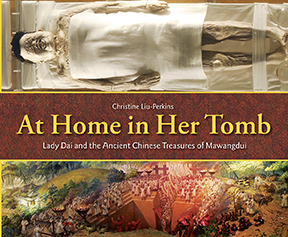 Photos: Hunan Provincial Museum used with permission by Charlesbridge Publishing, Inc.
One of my research projects turned into my first nonfiction book, At Home in Her Tomb: Lady Dai and the Ancient Chinese Treasures of Mawangdui. After fourteen years of work and consulting more than four hundred sources, I’m excited that it’s reaching readers around the world!